Apple has unveiled his largest smartphone ever; the 6.5 inch Iphone XS Max which has a larger display but a similar body with the usual plus size phones. 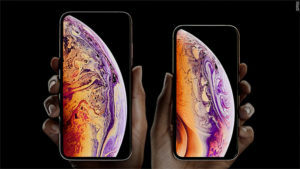 Apple also showed off a 5.8 inch Iphone XS which cost about $999 and the 6.5 inch Iphone XS Max which cost $1,449 making it the most expensive Iphone ever. Both devices will have a longer battery life than the original Iphone X. The Iphone XS will have 30 more minutes of battery of life and the iphone XS Max will last up to an hour and a half longer. They also surprised with a third smartphone, Iphone XR which cost $749. The 6.1 inch features a bright LCD screen which comes in a variety of colors including white, black, coral and red. 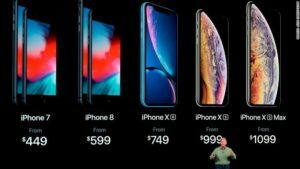 The Iphone XS and XS Max wll be available to pre-order on Friday September 14 and ship September 21 in the US and other countries. You can pre-order the Iphone XR from October 19, and will stores on October 26 in more than 50 countries.